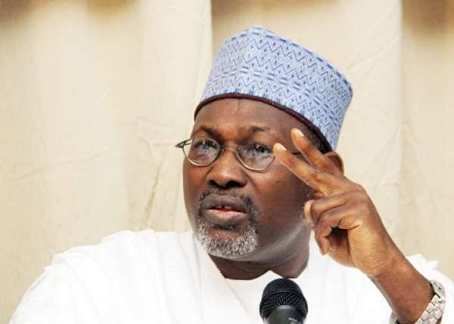 Prof. Jega who raised the alarm while delivering lecture for the 2018 Democracy Day in Abuja, also warned that security operatives should display professionalism and neutrality. He further said that was deficit of good governance in the country and that the government should not only be concentrating on theft and embezzlement in its fight against corruption, but should also do something on bribe taking at all strata of government. According to him, taking was getting worse in government especially at the National Assembly where he alleged that the committees were notorious and recklyin seeking bribe, stressing that Chief Executives like Vice Chancellor’s have horrible experience from Committee heads during over sight functions. The former INEC Chairman who said that the INEC was presently confronted with electoral challenges noted that party violence witnessed in the just concluded congresses portend great danger. He said if political parties cannot observe internal democracy and conduct peaceful congresses, it was dangerous sign over what would happen in the general elections. Besides, he lamented over the increasing hate speeches by the political actors, opinion and religious leaders which he said were capable of sparking violence.